The truth is, I’m pretty new to this whole Lent thing. The churches I grew up in didn’t practice or even speak of this season of the church calendar. Perhaps I’d heard of people who “gave things up” for Lent, but I don’t really know what that meant or why they would do something like that. Sounded pretty harsh to me. But I’ve come to understand that I’ve missed something valuable. I’m seeing this season is an opportunity to enter into an experience-in a very small but real way- with Jesus. We get to journey with Him in His inexorable path to the Cross. We draw closer to Him. Isn’t this the goal? As Paul said in Philippians 3, “I want to know Christ and the power of the resurrection” And I’ve often kind of left out the next part- “the fellowship of sharing in His suffering.” Giving up something for Lent- seems like an opportunity to embrace that a bit. 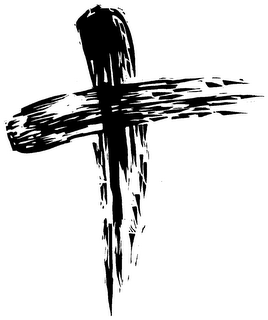 So today, for the first time in my life, I went to an Ash Wednesday Mass. No, I’m not becoming Catholic. But there was something about having the ashes placed on my forehead in the shape of the Cross. Something about being pointed to Jesus while being reminded that, though I’m a child of the King, I’m still made of dust and ashes. Something about being with others who wanted to be reminded of that, too. And yes, nudged by a couple of friends, I’m “giving something up” for Lent this year. For me, it’s coffee and soda, and sadly, that’s a bigger sacrifice than it ought to be. But I’m praying that it will serve as a regular reminder, a prompting. That Jesus will be more real. And that I’ll get to know Him just a little bit better.